Is anyone else as excited as I am about Christmas? I literally cannot wait for a week of festivities will all my family! I just LOVE Christmas!! 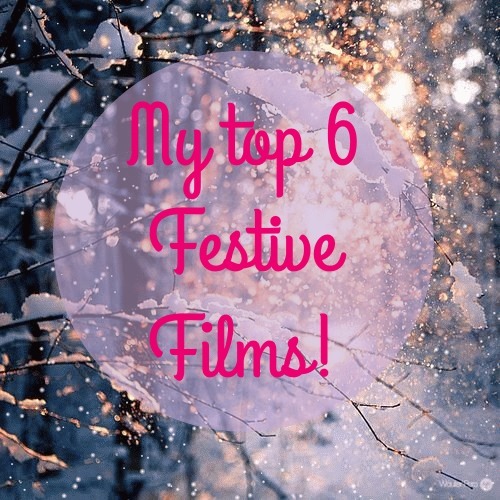 In order to make you feel as festive as me, this evening I'm sharing with you my favourite 8 festive films! Let me know if you've watched any of these! Also they're not in any order because I love them all! Love Actually is a film that looks at relationships during Christmas time. It's a fab film and the ending makes you feel all warm and festive! I watch it at least 5 times every Christmas, one of my all time favourites. So the Holiday is probably my favourite Christmassy film of all time. First off I LOVE Jude Law I mean HOW FIT PLEASE!? Christmas came early watching his pretty little face on the big screen!! I also love Cameron Diaz, she my girl crush so it's already an amazing film for me! My twin sister and I watch it ALL the time during Christmas, but sometimes even when it's not! It makes you cry but makes you feel so happy too! Definitely give this a watch if you haven't already! I promise you won't regret it! Elf is one of my all time favourite Christmas films! It's such a funny feel-good film - perfect to watch on Christmas Eve and it's something the whole family will enjoy! This is a classic and reminds me of my childhood. Again this is another of those feel good films and it doesn't feel like Christmas without watching it. If you haven't seen it before, why on earth not? It's always on TV during the run up to the festivities! This film just reminds me of my grandad so it's a special one to me. I love It’s a Wonderful Life. It's one that doesn't leave a dry eye in the house but it's perfectly Christmassy at the same time! The Santa Clause movie is another great festive comedy that the whole family can watch and enjoy together. It's definitely another favourite of mine. I Love it - I definitely recommend!